~ Crow Vineyard & Winery to open second location in the Queenstown Premium Outlets Center in Queenstown, Maryland. This May Crow Wine Cellars will open it’s doors to all who travel through the Queenstown area, offering wine tastings, wine by the glass or bottle and local products. 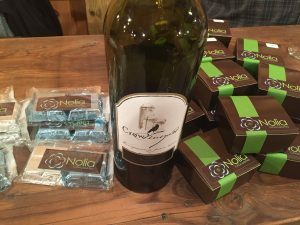 To learn more about Crow Wine Cellars, or to subscribe to be one of the first to know of its opening, click here. 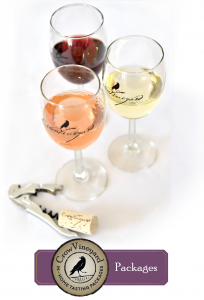 ~ Crow Vineyard & Winery will be one of two host sites for the launch of Sip & Savor Magazine. To learn more about this new magazine, and to read our featured article, click here. We’ve brought back our newsletter to share exciting news about what’s been happening on the farm. We’re preparing for bud break in the vineyard, our 2016 and 2017 wines are being bottled in the winery, and the tasting room is bustling with guests. To read more about what we’ve been up to click here.